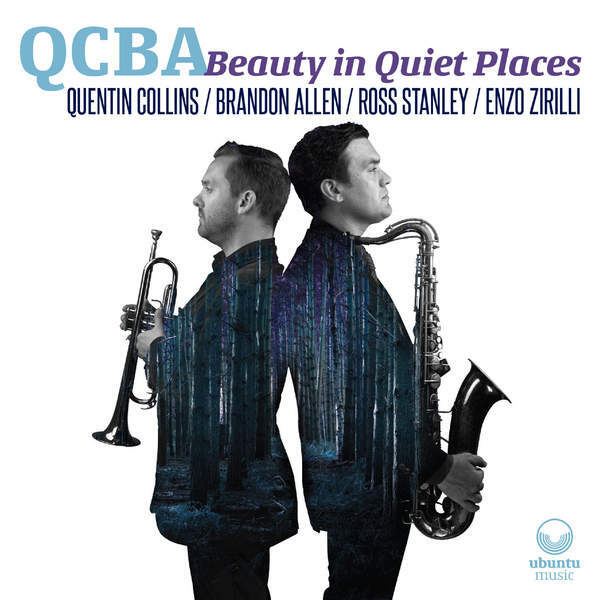 bebop spoken here: CD Review: QCBA - Beauty in Quiet Places. 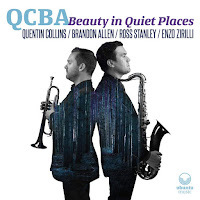 CD Review: QCBA - Beauty in Quiet Places. Quentin Collins (tpt/flg); Brandon Allen (ten'sop); Ross Stanley (B3); Enzo Zirilli (dms). This is my kind of record! Hardbop but not retro. Music for today steeped in the recent past but also looking towards tomorrow. The two horn frontline backed up by Ross Stanley's B3 and Zirili's drums (a new name to me but on the evidence here it sounds as though he's here to stay!) bring to mind the wonderful, but short lived, Mike Carr Blue Note Band. This has all the punch of that band but with the incorporation of some later innovations. Not that it's all kickass, the title track is as beautiful as the name implies and should Oscar's Lullaby lull you to sleep I guarantee that the only nightmare you will have is that of missing the remaining tracks which sure as hell ain't lullabies! The mood throughout is that of a band that knows where it's going without straying too far from the straight(ish) and certainly not narrow path of jazz today. Brandon, as gutsy a tenor as I've heard for awhile and Quentin, a talent in the Clifford Brown twice removed bracket (a compliment by the way!) gell in the way two horns should do. Both guys provided the material and it's not surprising that, because of the empathy in their playing, it's difficult to guess as to who wrote what! I know the info is on the cover but, having only 19.9/19,9 vision, it might as well be written in Bebop! Available now on itunes or ubuntu music. Or from (hopefully) The Last Shop Standing!